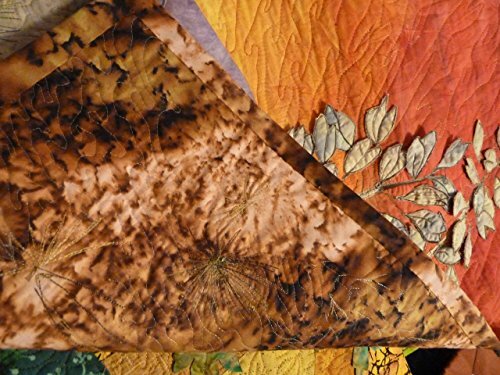 This scene is familiar to Arizona desert to create it in fibre I painted a sunset on fabric and then added the soaptree yucca plant with 3 dimensional seed pods. The grasses and desert sand is heavily quilted. This art piece has a self fabric frame which is hand sewn to the back. The art piece measures (22 x 31 in.) 56 x 79 cm. and comes with a rod pocket and wooden dowel for hanging.